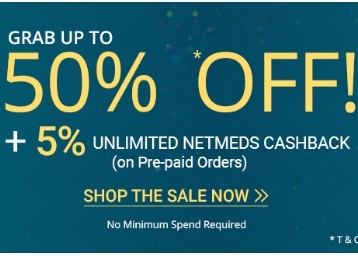 Netmeds is in under discount offer with its payment partner Paypal they are giving Flat 50% cashback up to Rs.300 via PayPal. Valid for all user. The 50% PayPal cashback offer is valid only ONCE per user during the offer period. 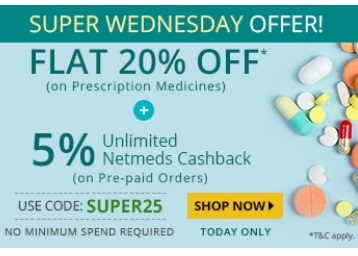 OFFER: The PayPal Cashback offer entitles you to get up to Rs. 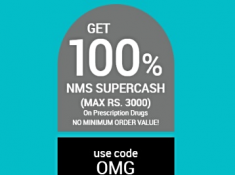 300 PayPal instant cashback (Flat 50%) when you purchase a minimum of Rs. 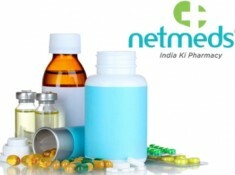 50 worth of ANY products using the PayPal payment option at Netmeds.com/Netmeds App. 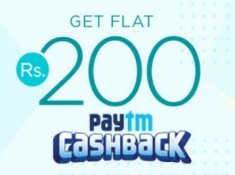 OFFER PERIOD: The PayPal Cashback offer period is valid from 6th April 2019. 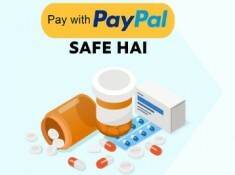 To check your PayPal Cashback, please visit www.paypal.com/myaccount/wallet. If you have a business account with PayPal, to find your cashback amount, you'll need to download the PayPal app, log in and check 'Offers' section in the bottom part of the app homepage. geluliti Old Users as Well, Valid Only For Today ! !